Over the last decade, coffee has been the most consumed product globally and has undergone various trends in consumer preferences, economic situation, and market improvements all based on coffee trends. It is said to be consumed anytime, anywhere and fit consumption on many occasions by all ages, gender, and status. So many innovations are currently being introduced to coffee products in terms of prices, format, flavors, variety, and convenience, which makes the consumers prefer more of it in most of their occasions. They mostly prefer ground coffee followed by instant then ready to drink. Single-cup-pods and whole bean coffee follows in the consumption list, and all these flavors come in specialty coffee roasters that make consumers look into their sustainability, local production, and the transparency food systems they go through. Brand roasters such as Intelligentsia, Blue Bottle Coffee, Stumptown, and Verve are in turn looking at the importance putting their strategies on marketing materials, retail packaging, in blogs, and through engaged baristas. Despite all this, more consumers are still looking beyond the labeling or brands and are more interested in specific sourcing and purchasing practices for the roasters. As a result, the roasters are responding with Direct Trade, Relationship Coffee and other tools that give authentic, transparent, socially responsible, and sustainable business practices. Specialty roasters are popping up in just about every state, as you might imagine, with unexpected places topping the charts with excellent coffee. For example, the Coffee Roasters Minneapolis has to offer are among the top in the nation. Watch out Cali and New York! Most people take coffee every morning and considering young adults take coffee as their preferred energizer or a stimulant throughout their day or studies, this significantly contributes to the increase in consumption of coffee among households. The young consumers do not to bother about the brand or flavor, which is unlike the older customers who prefer particular flavors and put more of their attention on brands. This trend makes the roasters compete in making quality coffee with an increased range of flavors to attract more sales. Another discovery in roaster brands is that some consumers prefer light roasted coffee hence the reason recent surveys are showing consumers, especially women want their coffee lightly roasted, which makes roaster manufacturers to make their coffee at different ranges to meet every consumer needs. Most specialty coffee roasters offer light, medium, and dark roast coffees. Many people buy ethically sourced coffee online due to knowledge about the coffee industry and the pursuit of good quality coffee. Over 40 million pounds of coffee that is served around the world has to meet strict guidelines. There are environmental and economic guidelines that coffee growers must meet. Even the best supermarket coffee beans typically do not meet these requirements. Intelligentsia Coffee is located in three cities in the US. They are Chicago, Los Angles, and New York. There motto is that great coffee should be accessible and democratic. Coffees come from remote parts of the world that have great environmental conditions to grow coffee. They work closely with coffee growers and farmers to grow the best coffee around. They grow a variety of single origin coffees from Bolivia, Costa Rica, and El Salvador. Their coffee is sold online. Blue Bottle in Oakland California uses only the most responsibly source beans. They have a network of cafes, wholesale vendors, and a few vintage German coffee roasters. The company only sell coffee that is 48 hours out of the roaster. They believe aging coffee give it more flavor. They sell coffee from Hawaii, Brazil, Columbia, Africa and other locations. Blue Bottle sells their coffee online. Stumptown Coffee Roasters owners traveled over several years to coffee growers around the world in their quest for quality ethically based coffee. They work with farmers offering financial help and education to bring customers the best coffee they can provide. They have cafes in Portland, Seattle, New York and downtown LA. Their coffee suppliers are from Latin America, Africa and Indonesia. Stumptown Coffee Roasters sell single origin and mixed blends of coffee online. DOMA Coffee Roasting Company located in Idaho runs an environmentally focused business with cafes in North Idaho, Brooklyn, Washington, Montana, and Utah. 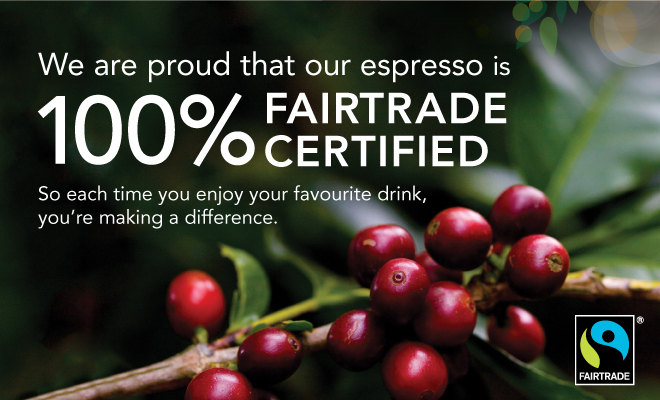 They belong to a cooperative of about 23 roasters that participate in Fair Trade and using ethical roasting practices. The company purchases coffee directly from the farmers. They use a roaster that cuts use of gas about 80 percent when compared to other coffee roasting machines. These coffees comes from Latin America, Africa, and Indonesia. They sell coffee online. Coffee; we drink it in the morning to start our day and guzzle it down in the evening to stay awake. For many, the beverage that keeps most people in motion is taken for granted. But to others coffee brewing takes an almost artistic craftsmanship. Since the 19th century, the coffee cupping process has grown and taken brewing to another level entirely. So much has the practice grown a special organization, the Specialty Coffee Association, formed to set quality standards for coffee cupping. 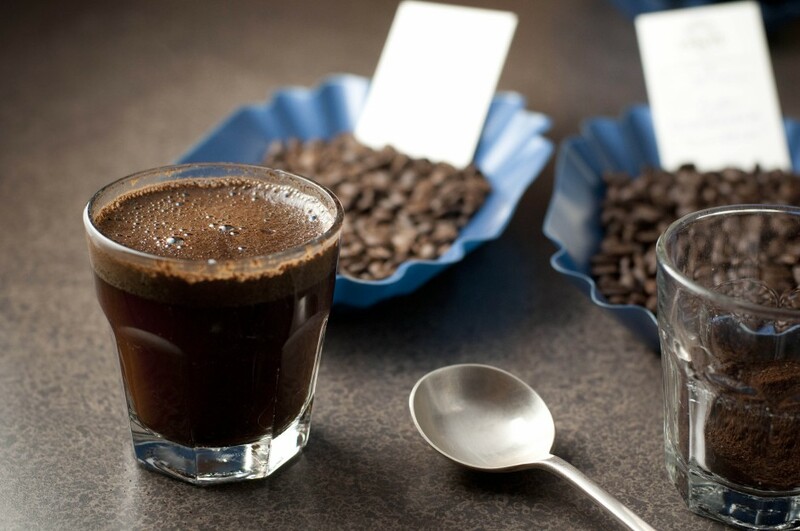 In basic terms, coffee cupping is the practice of studying the tastes and aromas of brewed coffee. The coffee taster begins the process by inhaling the coffees scent. With the aroma filling the taster’s nose the smell is analyzed and labeled with one of several choices such as: nuttiness, rancidness, or spiciness just to list a few. Once the coffee’s aroma has been analyzed the taster takes a large sip of the coffee to determine the taste. When the taster sips he or she spreads the coffee along their tongue to first judge the body texture. Thickness or lack thereof is measured then taster begins to work on the coffee’s taste. Ashy, caramel, earthy, and floral, are just some of the descriptions given to the coffee’s flavor. Once body and taste are completed the taster determines the after taste and acidity level, concluding the cupping process. Anyone can begin coffee cupping. To be a master taster on the other hand, requires a more skilled pallet and ability to detail the coffee’s taste and smell to a higher degree. Such is the skill of these masters that many coffee shops and makers hold master tasters in high regard. This can be taken to greater length as the Specialty Coffee Association harnesses a numbered rating system for coffee cupping along with other protocols. The black beverage many begin their day with may seem simplistic and forgettable. But coffee cupping takes coffee past mere guzzling to a rank of culinary art. Not bad for a drink nicknamed simply as “Joe”.